A warm welcome awaits you at the Balkan Lodge Hotel in Oxford. From the moment you arrive we want you to feel at home and relaxed. Whether you are visiting for business or pleasure you are assured of the personal attention that creates a friendly and informal atmosphere that only a privately owned family run hotel can pride itself to offer. We offer ultra-fast wi-fi via our designated data line. The Balkan Lodge Hotel is located in the Iffley area of Oxford, close to the River Thames, or Isis as it is known in Oxford. The hotel is close to Oxford city centre a 10 minute bus or a taxi ride with easy access to the ring road and the M40 motorway connecting London and Birmingham and their airports. The hotel is also a 10 minute drive from the Oxford based BMW Mini plant. The hotel has its own private secure car park for all guests. 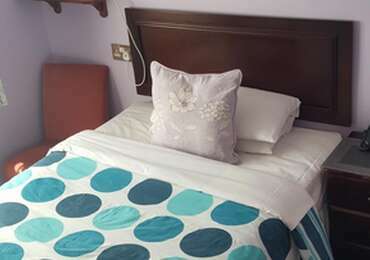 The 12 bedrooms are comfortably and tastefully furnished and are all en-suite. 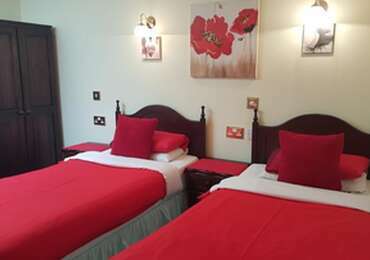 All rooms have bath/shower and tea/coffee making facilities plus a colour television with telephone, radio, alarm clock, trouser press and hair dryer in all rooms. 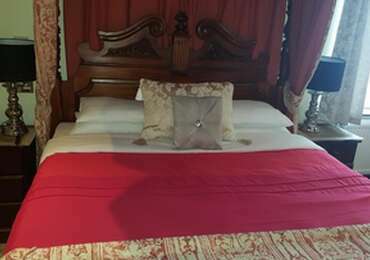 For that little extra luxury we also have a room with a splendid four poster bed and jaccusi which can also make a romantic honeymoon suite Our breakfast room serves a full English or vegetarian breakfast which is included in the price next door to our Comfortable fully licensed Bar &guest lounge. We want you to make the most of our stay in Oxford, so if we can do anything to help, please do not hesitate to ask our friendly staff who want to ensure that your visit will be remembered with pleasure. Room Includes Breakfast. Please note this room has no window.